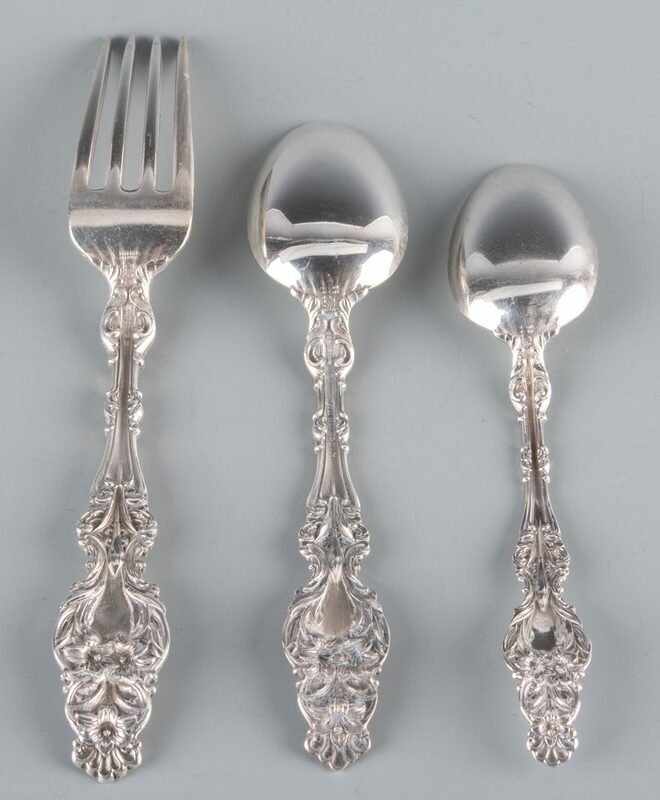 1st group: Whiting Manufacturing Co., sterling flatware, Lily pattern, Lion, Pat. 1902, 15 pieces, including 10 forks (6 3/4" L), 4 five o'clock spoons and 1 teaspoon, 23.875 oz troy. Single script monogram "A". 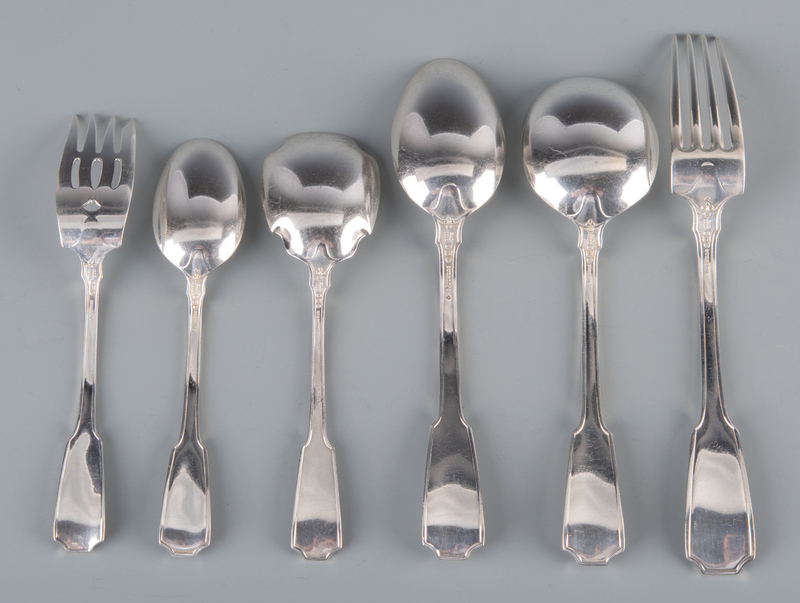 2nd group: Gorham Manufacturing Co. sterling flatware, Spotswood pattern, 1912, 6 pieces including fork (7 1/2" L), salad fork, place spoon, round bowl soup spoon, teaspoon and sugar spoon, 7.185 oz troy, single block monogram "M". 21 total items, 31.06 total oz troy. CONDITION: Overall good condition. Both patterns with single monogram.